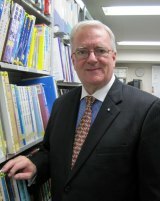 Phillip Ebrall is a leading world authority on chiropractic education, having lead two program renewals with RMIT University and assisted the establishment of new education programs in Japan, South Korea and Malaysia, and Australia's first chiropractic program outside a capital city to serve regional Australians. The advice of the Chiropractic Board of Australia is both precipitous and indecisive, being ignorant of the evidence strongly supportive of chiropractic care for children under two. It appears to be an example of a regulatory body collapsing to political pressure led by the members of the medical profession now holding elected positions in governments and Ministerial advisors throughout Australia. This planned political infiltration for the purpose of subverting chiropractic has been reported by chiropractic historians such as Rome and Painter and is documented in the papers of The Wilk Trial as The Iowa Plan, having originated by the Iowa Medical Society. The Iowa Plan is summed up in the plaintiffs’ 132-page aid to the court, submitted June 25, 1987, in the Wilk case. The Iowa Plan’s section “What Medicine Should Do About The Chiropractic Menace” includes a Part G titled “Undertake a positive program of ‘containment'” to ensure chiropractic as a profession will ‘wither on the vine’ and the chiropractic menace will die a natural but somewhat undramatic death. The Iowa Plan states that such actions taken by the medical profession should be persistent and behind-the-scenes whenever possible. Any professional chiropractic body that dismisses The Iowa Plane as a 'conspiracy theory' is negligent in their duty of care to its members and the profession. Any professional chiropractic body that dismisses The Iowa Plane as a 'conspiracy theory' is negligent in their professional duty of care to its members. This decision of the CBA meets the evidential basis for an element of the US-AMA's Iowa plan which is being enacted by a global cabal, recently in Indonesia and South Korea, and for a long time, Australia. The use by the CBA of the vague term 'manipulation' demonstrates its isolation from real-world chiropractic practice where conventional chiropractors 'adjust' within an evidence-based clinical framework and rarely, if ever, manipulate children. The notion that chiropractors 'manipulate' babies is a deliberate myth of political medicine with nefarious intent. All five programs of chiropractic education that I have for 30 years successfully and repeatedly led through accreditation, specifically teach the contraindications to chiropractic management of the young. Management includes a broad spectrum of personalised care from adjustment to nutrition, activity, soft-tissue treatment, and self-care. The literature clearly establishes birth trauma as an event, however low its prevalence, and chiropractors are trained to be competent and capable in the provision of integrated support based around highly specific and expressly gentle care to the very young, with supportive care to the mother. The type of chiropractic care shown in the relevant video clip represents standard practice within medicine in Germany. There is substantial evidence of this and as with chiropractic, absolutely no evidence of harm. To the contrary, there is much evidence of efficacy and safety of conservative chiropractic care of children. For Australian authorities to target only the chiropractic profession in this matter is blatant discrimination and most ill-informed. Chiropractors will continue to care for infants and families in their safe, conservative and well-documented manner, as will physiotherapists, osteopaths, practitioners of Traditional Chinese Medicine and Philippines Healing, and medical practitioners, in their less evidence-based manner. The real issues overlooked in this matter are the absence of evidence of harm by chiropractors, and the absence of evidence supportive of clinical management by medicine and other disciplines."